The GTW420-Pro terminal emulator has many new exciting features. GTW420-Pro expands the terminal emulator features, to provide a better productivity and enhanced user work experience. GTW420-Pro's revolutionary print methods breaks the limitations of your legacy applications and let you send the printing as E-Mail messages or Fax it any destination, all without any code changes. GTW420-Pro terminal emulator provides a comprehensive printing solution for your legacy application. 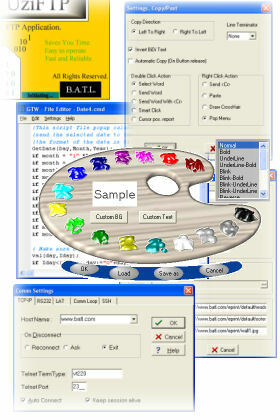 Legacy application's printing differ by nature from standard windows print jobs. We developed a fresh new concept that allows legacy applications take advantage of E-Mail, Fax, Postscritp and other technologies available at Windows environment. Our five printing method solutions will give your business perfect printing solution and improve it's competitive edge. Eliminate your dependency in specific printer type, even if your legacy reports include printer command as part of the report you will still be able to send the report to other printer like PostScript, Fax driver, PDF convertor or any other printers unknown to your legacy application. You can send Invoices, orders and other reports directly by E-Mail to your clients and suppliers without any software changes, just by selecting e-mail printing method. GTW420-Pro will convert your reports and print out documents into formatted e-Mail messages and will send them to recipients of you choice. In order to support special print devices like bar code printers and other special label printers we provide the direct printing method. This printing method overrides Windows standard printing mechanism and sends the information directly to the printer's port. A simple and economic printing method works well when the printer's driver support "Path thru escape sequence" mode. In many cases you will need to print some of documents on a printer and others to send as E-Mails. This print method let you decide about the actual print method after you sent the print job. * GTW420-Pro printing solutions are relevant for slave printing mode. GTW420-Pro puts much attention to your working environment. It provides several tools to make your work more productive, and make the work environment current and updated. The button bar is an optional bar at the bottom of the screen, that allow you, the user, to customize it to your personal needs. 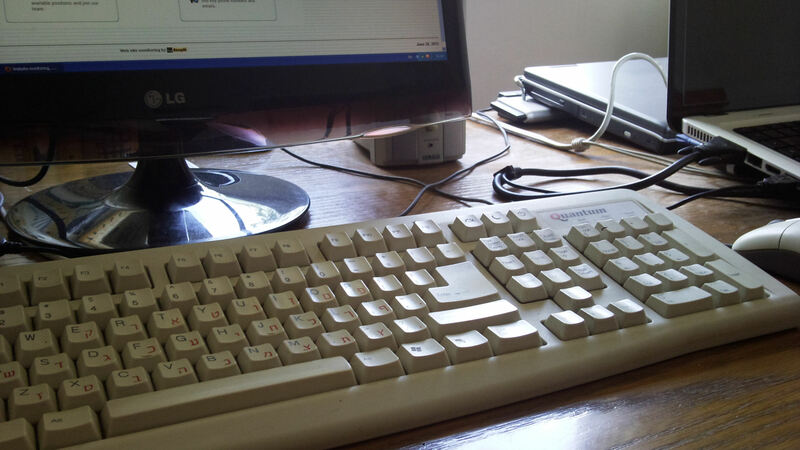 It can be used to set shortcuts for commonly used commands, to run script, sends commands to the printer, or assigned as function keys. User can define multiple button bars and change them with accordance to the context. Some times it is needed to use more then one buffer to copy and paste, GT420-Pro shared 5 copy-paste buffers for all it's open sessions. You can copy up to five different fragments of text and paste them in any order at any GTW420-Pro session on the same machine. Sometimes it is very hard to distinguish the location of a data item in a crowded screen, especially when the 132 columns mode is used. Some people solve this problem using plastic ruler, they put it from time to time on the screen to identify the exact location of the data item. The cross hair cursor is a screen wide floating cross you can turn on by right clicking your mouse; it will help you identify the exact location of data items. The Hyperlink support joins the forces of the terminal emulator and the internet. You can double click any hyperlink that appears on screen as text, and GTW420-Pro will open it using the default internet browser at the time. You can take advantage of this powerful option to collect and use internet related information. The 3D table frames replace the line draw characters used to draw frames, with nice 3D graphics. It gives your application a fresh and updated look. Legacy applications suffer from bad public relation due to their outdated look. Graphic backgrounds are one easy way to change the look of an application dramatically. You can use as abackground one of the wallpapers supplied with GTW420-Pro; your company logo or any other graphic image. and simplify the file transfer process. saving the slow directory navigation on remote host. Digital's DEC terminal Emulator (VT420 and backward compatibility emulation for VT320/220/100). Fast and reliable FTP - File Transfer. Automatically Scaled fonts. (Automatically change by window resize). Full support for Double width /double height characters. Attribute to color mapping. True attributes display for Underline, Reverse. Variant Screen Sizes 24,36,48 lines per Screen, 80 or 132 cols. All GUI elements including the menu, can be turned on or off. 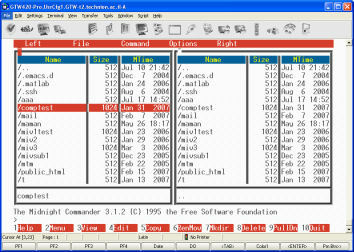 DDE links to other Windows applications. Phone Book / Dialer for handy modem connection. Command Recycle, restore and edit last commands. operating systems including Windows XP, Vista, Windows 7, Windows 8.